In SAP BW Statistics allow you to record runtime data in SAP BW process and events in data warehouse functionality, this process will records performance step process, it will calculate differences start time and end times of SAP BW Processing. But query runtime statistic generate large amount of data, so its recommended to delete the data to free up system space and increase SAP BW Performance. 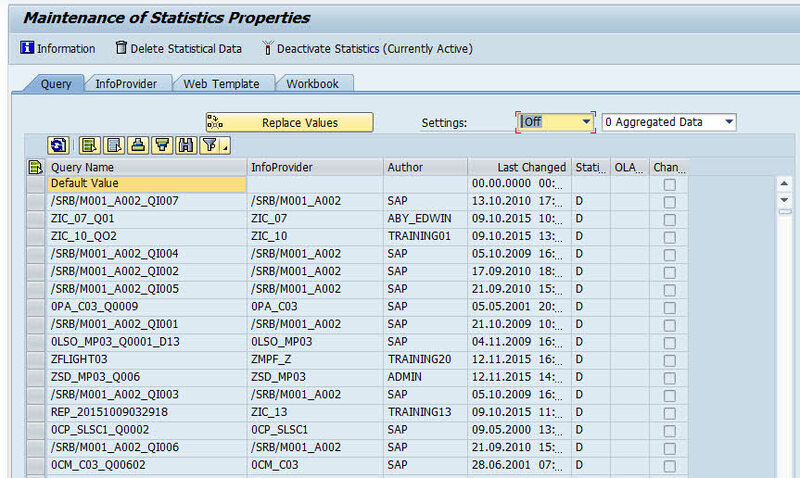 You can delete SAP BW Statistic using RSDDSTAT transaction code. 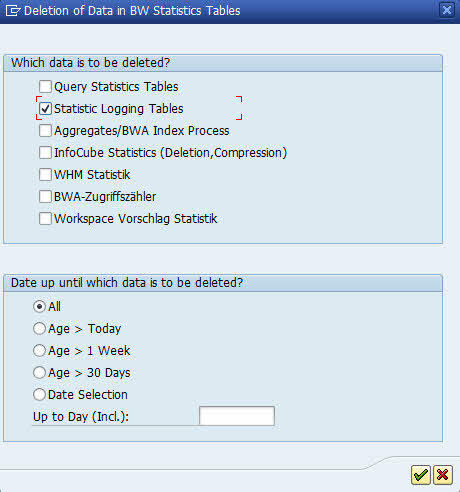 Click on DELETE STATISTICAL DATA button on top of the screen and the popup will shown. You can select the checkbox for which you want to delete the data, select specify date then press Continue button, then click SAVE the setting on top of screen. You also delete SAP BW Statistical via program name RSDDSTAT_DATA_DELETE , the screen in this program same with RSDDSTAT transaction code.